This year, German watch maker Alexander Shorokhoff enriches their classic HERITAGE collection with a new model “Peter Tchaikovsky Big Alarm“. 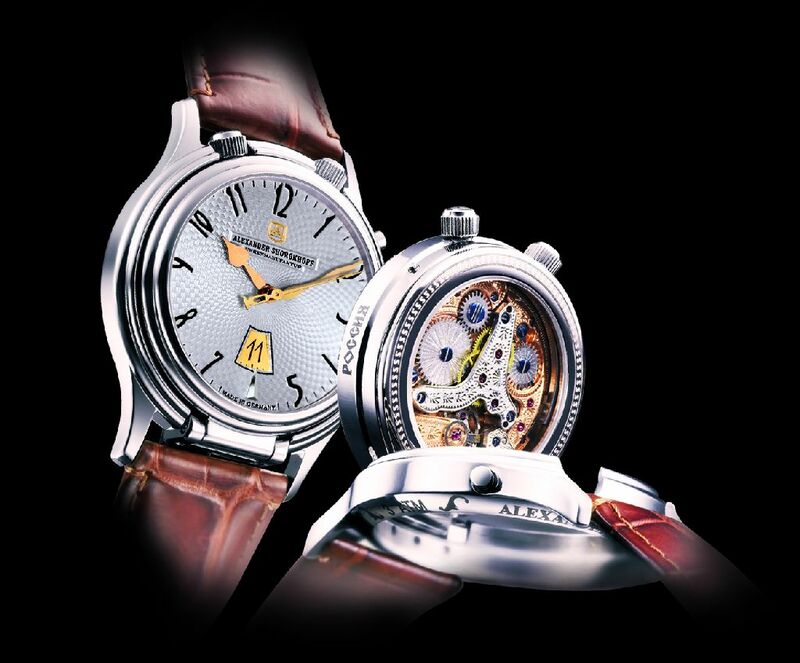 Unveiled at Basel world 2012, this new model is a modified version of existing “Peter Tchaikovsky timepiece”. The new variation, Peter Tchaikovsky Big Alarm features an additional alarm function. The new model features an elegant, classy design and the imaginative details. The stainless steel case of 40 mm diameter and with height of 11,5 mm consists of two parts and can be opened. Pushing at the button close to “2” the inner part can be lifted off with help of a clasp-mechanism and the watch can be put up and placed on a table. With one handling the wrist watch transformed into a practicable travellers‘ alarm clock. The alarm function can be set with the help of a turning disk at the dial. When lifting out the inner case part, the view at the refined mechanical movement (cal. 2612.AS) will get free through the sapphire glass back.